The East Brunswick Municipal Court can be busy and overwhelming. If you are required to appear because you were arrested or issued a traffic infraction be prepared by having an experienced defense attorney on your side. The East Brunswick Municipal Court is presided over by Hon. Robyn Brown. She has been an assistant prosecutor for more than 11 years and has served as judge since December 2012. Here, the judge handles disorderly persons cases such as trespassing, disorderly conduct, possession of drug paraphernalia and possession of less than 50 grams of marijuana. If you were pulled over and issued a traffic ticket by an East Brunswick Police Officer it will be handled here. Many motor vehicle violations such as speeding, leaving the scene of an accident, and reckless driving can have steep consequences. Contact an attorney at LS&P Lawyers to begin your defense! 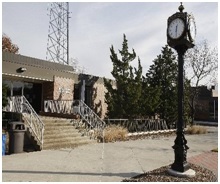 In addition, the East Brunswick Municipal Court tries DWI cases. New Jersey takes DWI’s very seriously. At LS&P Lawyers, we take DWI cases equally as serious. We are certified in DWI defense, including certifications in the Alcotest machine and the roadside tests police officers use in drunk driving arrests. Very few attorneys within the state of New Jersey have these qualifications. No matter the type of case, a conviction can carry substantial penalties including loss of license, surcharges, increased insurance premiums, fines, and in some instances jail time. It is important to seek legal aid if you are charged with a criminal or traffic offense in this court. Our attorneys will use their prior experiences in the courtroom to better your chances at a favorable verdict. Contact one of LS&P Lawyers’s defense attorneys for a free consultation. We are reachable 24/7 at 908-709-0500.